Is this the John Lewis Christmas Ad?! It's the most highly anticipated event of the festive season. No I'm not talking about Christmas Day, I'm of course talking about the John Lewis Christmas advert. Every year John Lewis guarantees us a hard hit right in the feels with an iconic character that becomes synonymous with that year's festive period. Previous Christmas sweethearts include Buster the Boxer, the man on the moon, the bear and of course Monty the penguin. Last year's Christmas advert saw Buster the boxer jump with pure joy on a trampoline bought for little Bridget, becoming another iconic figure of the festive period. So as the days begin to get colder, darker and just that little bit more depressing, what better to save us from the British winter than a teaser for one of the greatest parts of Christmas? 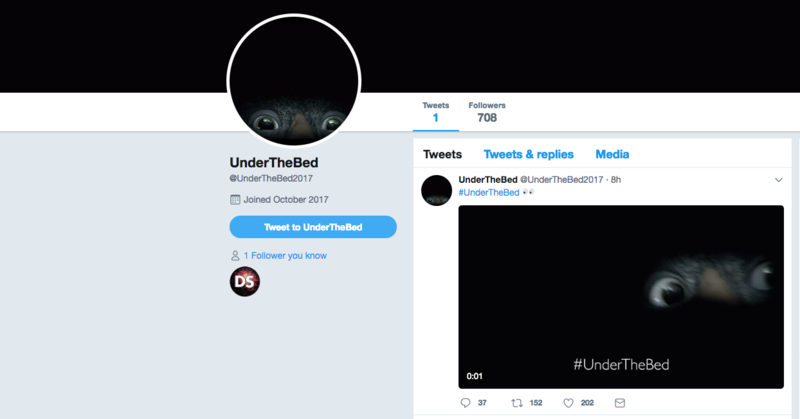 This morning an enigmatic Twitter account appeared under the handle @UnderTheBed2017, with a mysterious photo that looked very much like a classic John Lewis Christmas advert. The clip shows an eager-eyed, adorable looking little creature, drawing parallels with previous Christmas characters that have certainly stolen our hearts. Wait IS THIS THE CHRISTMAS ADVERT?!?!? Could this be the 2017 #JohnLewisChristmas ad? The advert is rumoured to be airing on November 9th, so whether or not this a cruel prankster toying with our overly sentimental Christmassy hearts is yet to be deciphered. Nobody panic, but this could be it.